Last weekend I woke up early and decided to spend a few hours at the Lake Apopka Wildlife Drive. Birders often report rare birds at the Lust Road entrance to the drive, and I’ve never really spent a lot of time in that area. So I took my binoculars and the Beast and tried my luck. 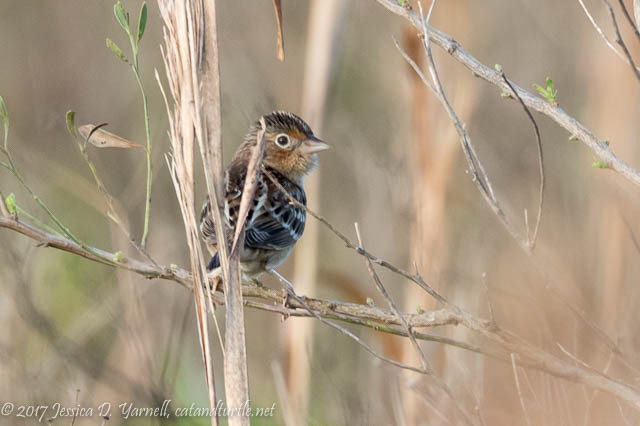 I ended up with my lifer Grasshopper Sparrow! When I first arrived, I wandered off to a patch of grass that looked like good sparrow habitat. 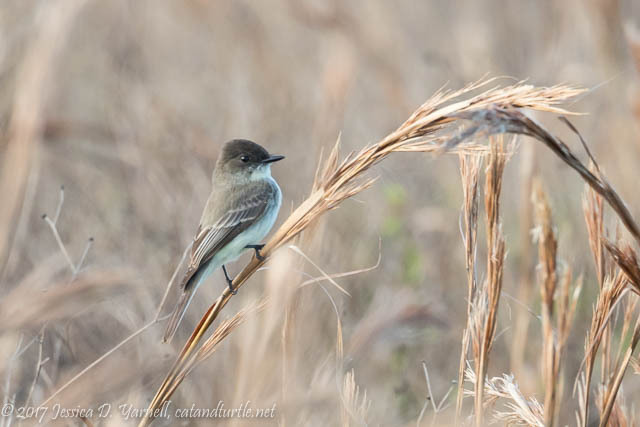 An Eastern Phoebe hopped up and posed for my camera. After a while I joined the birders who were stalking the Ash-throated Flycatcher, another rare bird who has been hanging out at Lust Road. 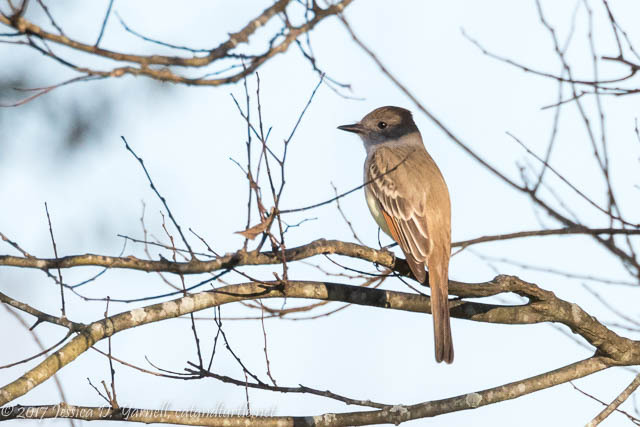 I’d photographed an Ash-throated Flycatcher only once before, at the Moccasin Island Tract near Viera Wetlands. The Apopka bird was much more cooperative, and I snapped a few frames of him before getting distracted with other small birds. 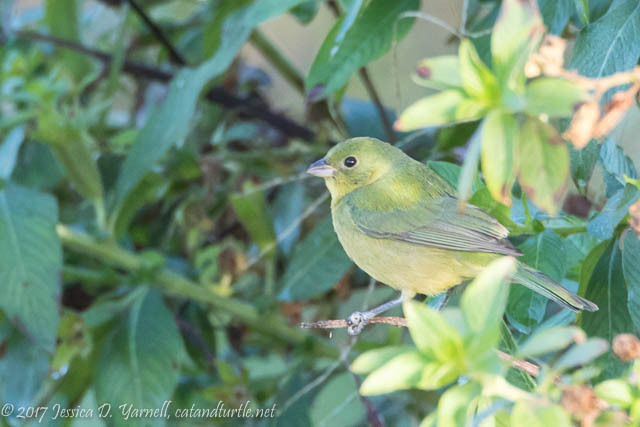 I heard the distinct call note of a Painted Bunting and looked around. A group of three greenies was hopping around in the vegetation across the canal. I kept an eye out for a male but never saw one. 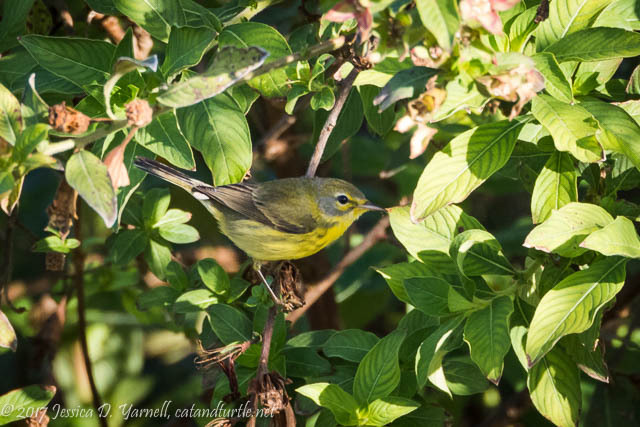 A Prairie Warbler was busily checking for insects in a nearby bush. I caught a glimpse of his stripes but it took me several times to get a good enough look to confirm his ID. His feathers appear to be beginning the spring molt – yay! A slightly larger bird caught my eye as she flew into to the top of a tree. 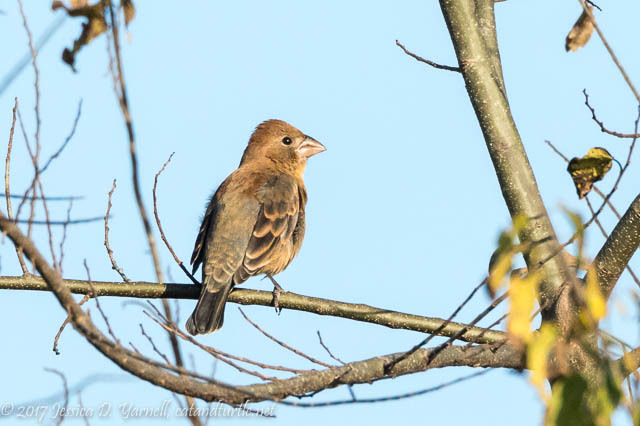 When I focused on her I realized I had a female Blue Grosbeak. I’m definitely going to have to spend more timing birding at Lust Road! As much fun as I was having with the little birds, I realized I’d stood there for several hours and not even entered the one-way wildlife drive. So I tore myself away from the rarities and went around. I didn’t see as many birds of note — and I missed the Yellow-breasted Chat! — but it was nice to get good looks at a couple species of ducks. 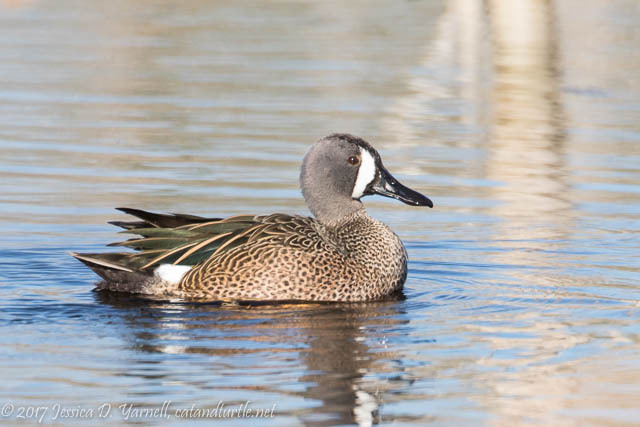 This Blue-winged Teal is one of the first I’ve seen this year. Normally they are found in good numbers around Circle B and Viera, but not this year. 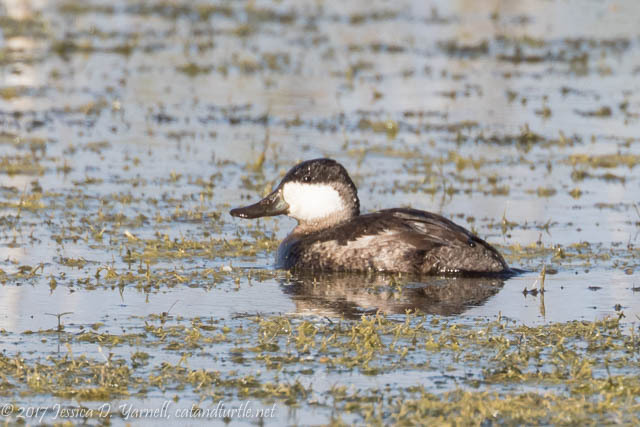 I was pleased to see this Ruddy Duck so close to a hiking berm. Usually I get my Ruddy Duck shots at Lake Morton, where they tend to concentrate at the center of the lake. It was nice to see this guy in the “wild” and close enough for a photo. All in all, it was a very enjoyable morning. I can’t wait to go back to Lust Road, especially during spring migration! What a great morning you had. I need to spend some time at the gate the next time I’m there. Yep, bring your binoculars as well as your beast!